Richard recently took part in the Movember Challenge to successfully raise over £2000 for CURA. 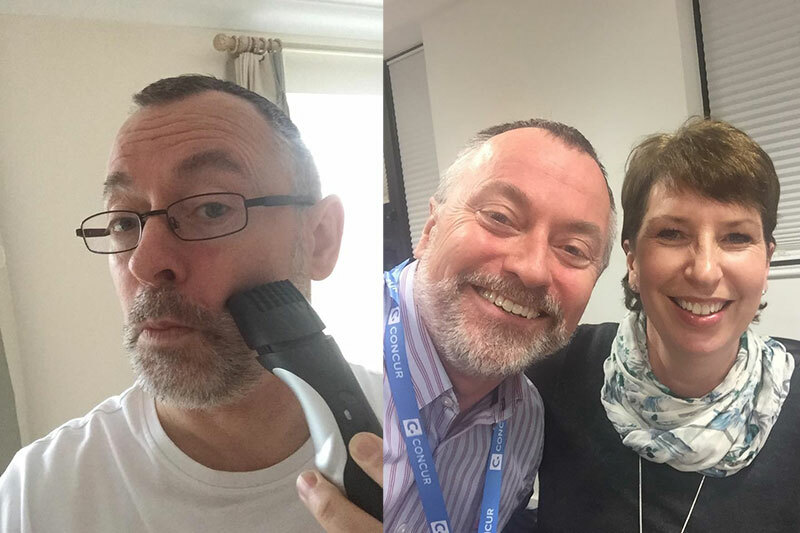 His work colleague Christine recently underwent treatment for breast cancer and he wanted to help a charity close to her heart and also for Christine herself who had been such an inspiration during the last year. Richard said of Christine ‘I can't tell you how great it is to have her back on the team!’ Cura sends a big ‘Thank You’ to Richard for his fantastic efforts! 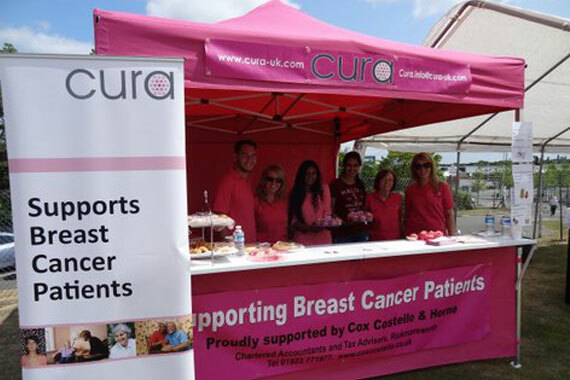 You can’t miss the shocking pink Cura gazebo! We have friends and supporters ready and willing to bake cakes for us to sell at all kinds of events! 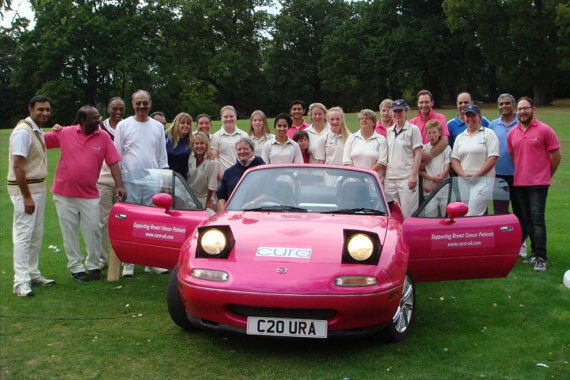 Look out for us at Uxbridge Sports Club County Cricket Days, Bishops Wood Hospital cake sales and Eastcote Cricket Club Cura cricket match. Maybe you are an organisation planning an event at which we can hold a bake sale and provide refreshments raising extra funds for Cura? 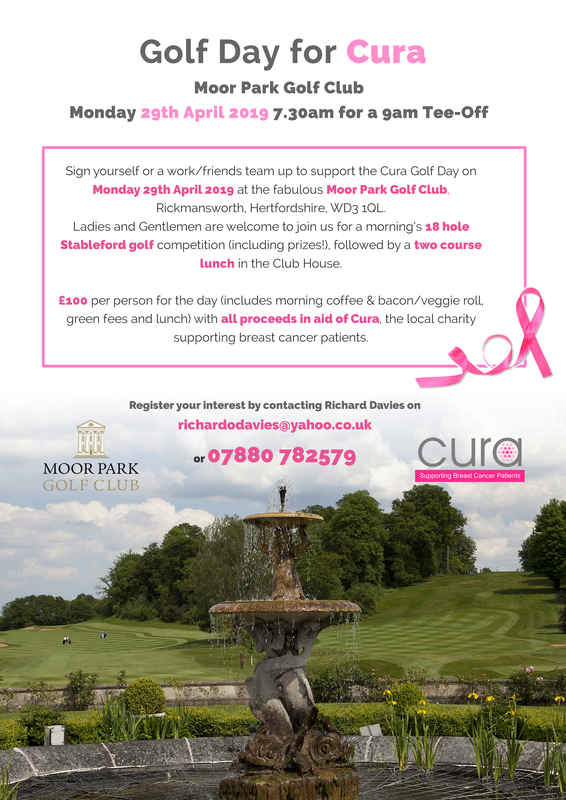 Moor Park Golf Club has been host to our glamorous Spring Balls! 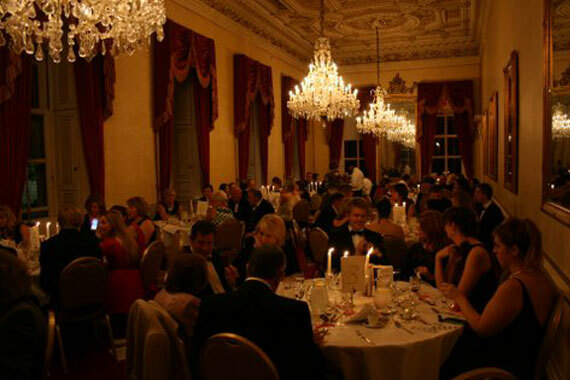 The mansion house has provided an exceptional venue for our biggest fundraising events and offered kind generosity towards Cura. The balls have been fun-filled including a sumptuous dinner, auction, raffle, casino and other entertainment with live music. Everyone has enjoyed a fabulous evening whilst raising money and awareness for the charity. 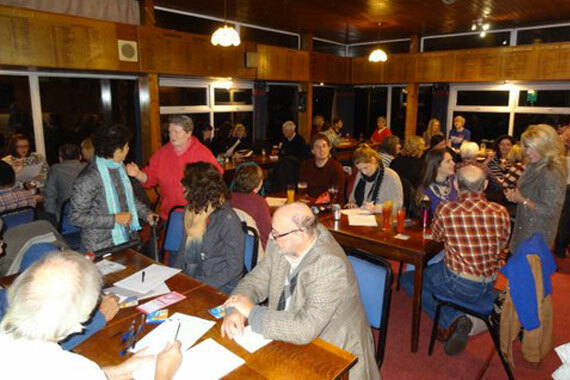 Hosted by our friends at Uxbridge Sports Club, our annual Supper Quiz Night has proved popular with locals and supporters alike. An informal evening of question rounds on specific subjects makes for a fun and competitive evening with lots of laughs along the way and a delicious supper! The wonderful Ickenham Ladies cricket team and the Bishops Wood Hospital team provide entertainment and banter as they battle it out on the pitch! This annual event is a highlight in our calendar in late summer. 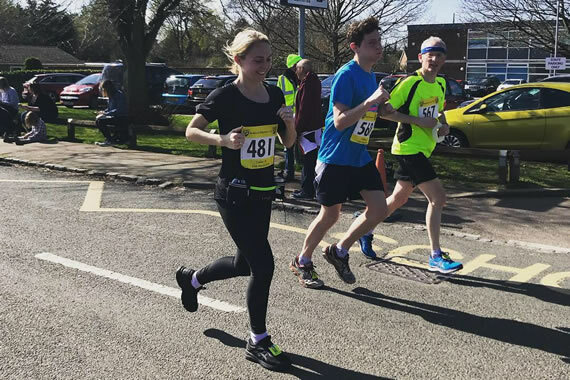 Held at Eastcote Cricket Club with our bountiful cake and tea stall, we sell raffle tickets and enjoy the relaxed atmosphere. These generous-hearted people give their time and energy to support Cura providing spectators with a truly special local community event.